Yes. Thanks Nuffnang for its largest cheque so far. The last largest payment was on October 2008. 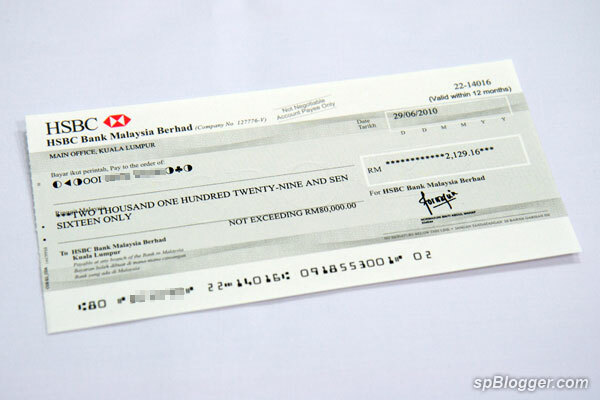 Wondering when will be the next largest cheque from Nuffnang? Only the strong will survive. Nuffnang vs. Advertlets. Definitely, Nuffnang is the clear winner. Why? I am a happy blogger who getting monthly Nuffnang payment. But a blogger still fighting hard to get his hard earn money from Advertlets. Check it out here. Anyone can help him?